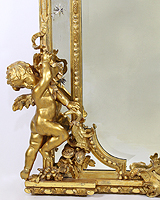 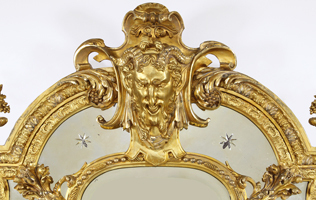 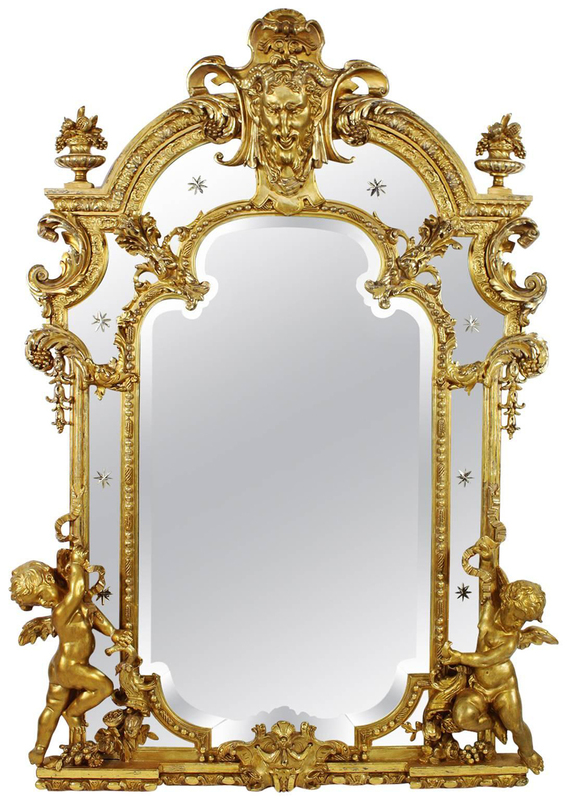 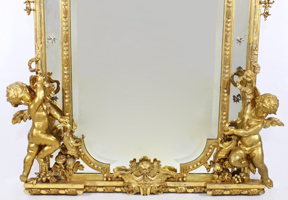 A Very Fine French 19th Century Louis XV Style Gildwood Carved Figural Mirror Frame, Surmounted with two cherubs amongst fruits and vines, each holding the entire frame one on each side, the top with a mask of a satyr surmounted with flower vases and foliage. 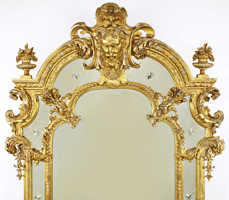 The mirror panels are all beveled glass with edged stars applications. 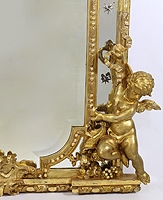 Circa: Paris, 1880-1900.